Kpreps.com would like to congratulate Susan Goodwyn for submitting the winning photograph for Week 2 of the Kpreps Friday Night Photo Contest. 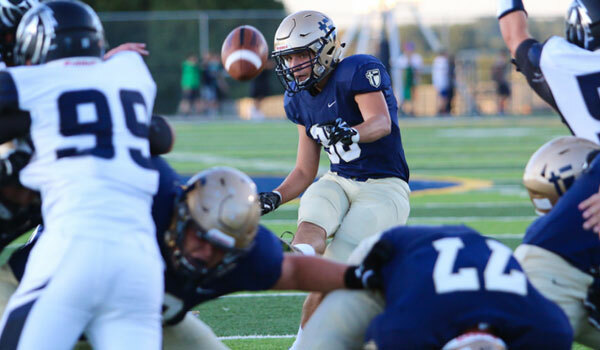 The photo captures St. Thomas Aquinas kicker Blake Zuniga kicking an extra point against Blue Valley North. For this winning photograph, Susan is now eligible for our 2015 Grand Prize including $500 in cash.